Even though people do not seem to be sending Christmas cards in the mail as much as in years past, I still get several from family members. I always struggle with how to display them. I have put them up on the mantle, on the breakfast bar, taped them to the door, and even stuck them on a metal sun that hangs on my wall. This year I decided to make something to hold them. 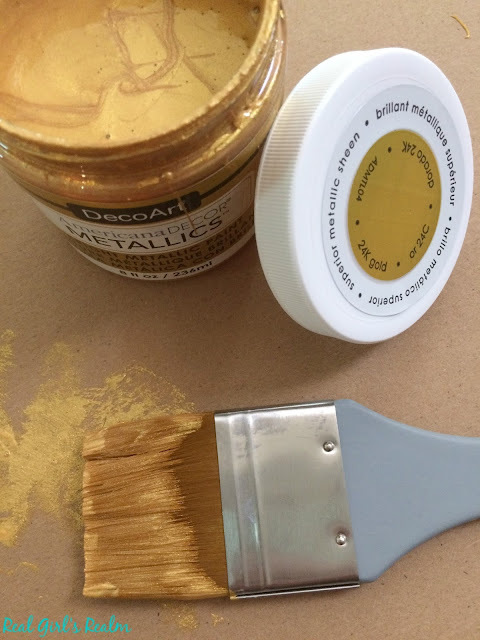 It is so easy to make and only requires a couple of supplies. Bonus: you can use it as a frame after Christmas is over! 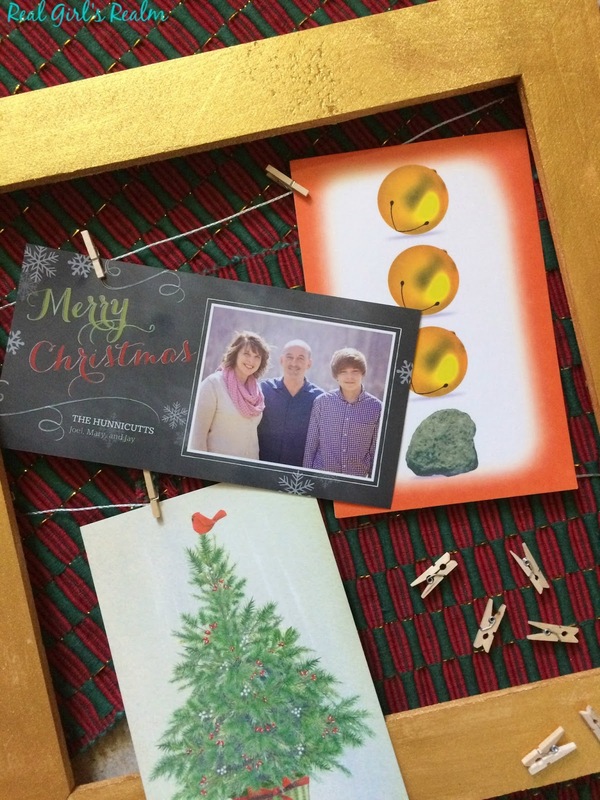 I had a couple of wooden frames on hand that I had been trying to figure out what to do with so I used one of them. 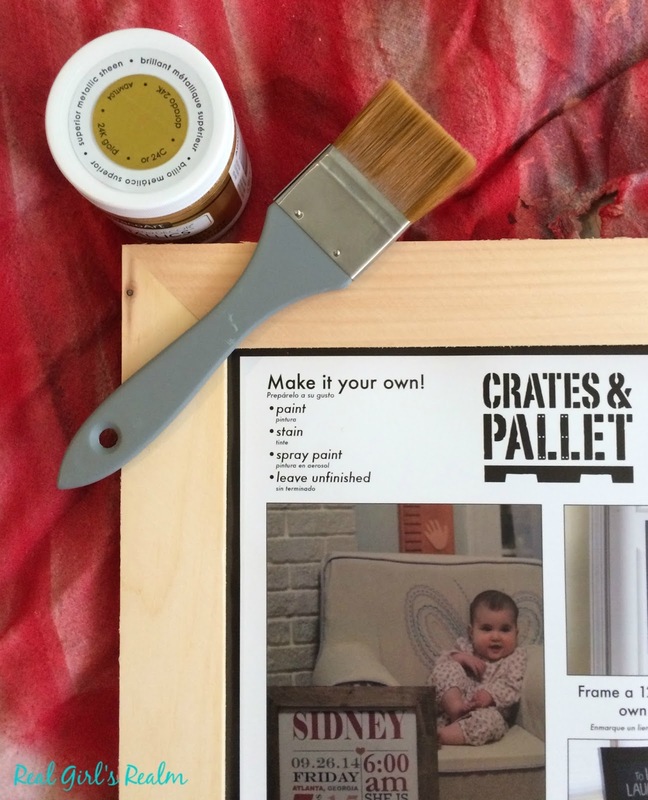 Mine was 12"x 12", but you could use a larger one or make your own frame if you have scrap wood laying around. Paint the frame first, if desired. I picked a festive Gold Metallic from my DecoArt stash and applied one coat. 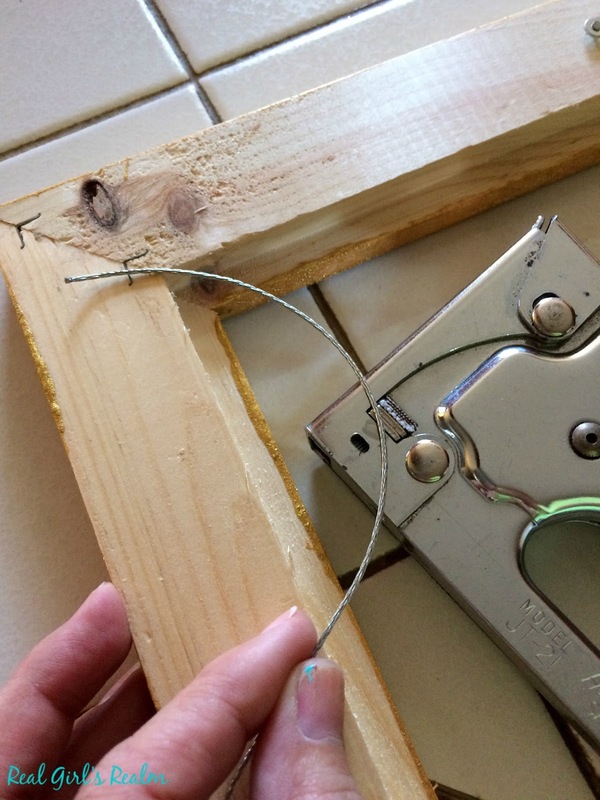 Once dry, measure the picture hanging wire to the correct length and staple it to the back of the frame. I just did 2 rows, due to the size of my frame. 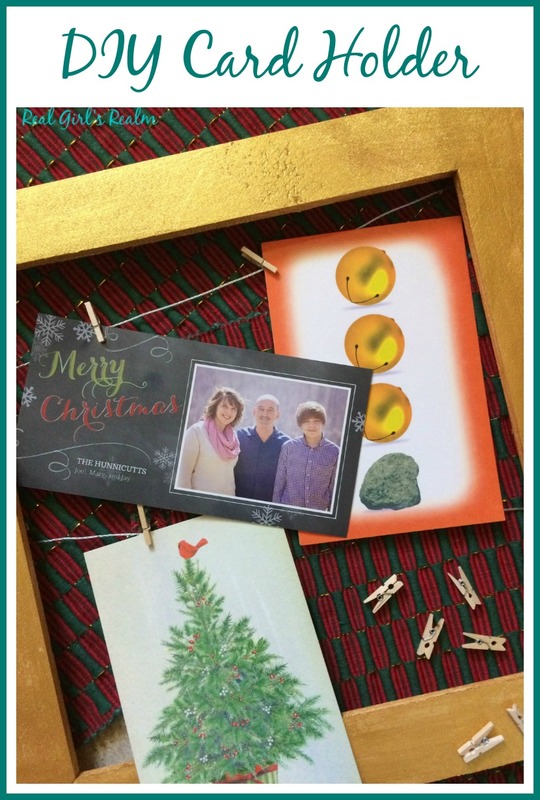 Hang your cards using mini clothespins or clips. I found these in the Target Dollar Spot. They would also be cute painted red and green! You can prop it on your mantle or by the Christmas tree or hang it on your wall. 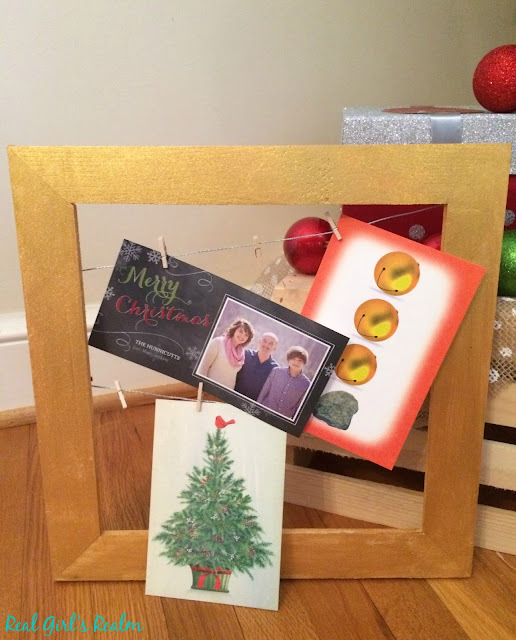 What a perfect way to display your cards! This is such a cute DIY! Pinning! Thank you Jill! I am glad you like it! I love that project and pinned it to make one day!